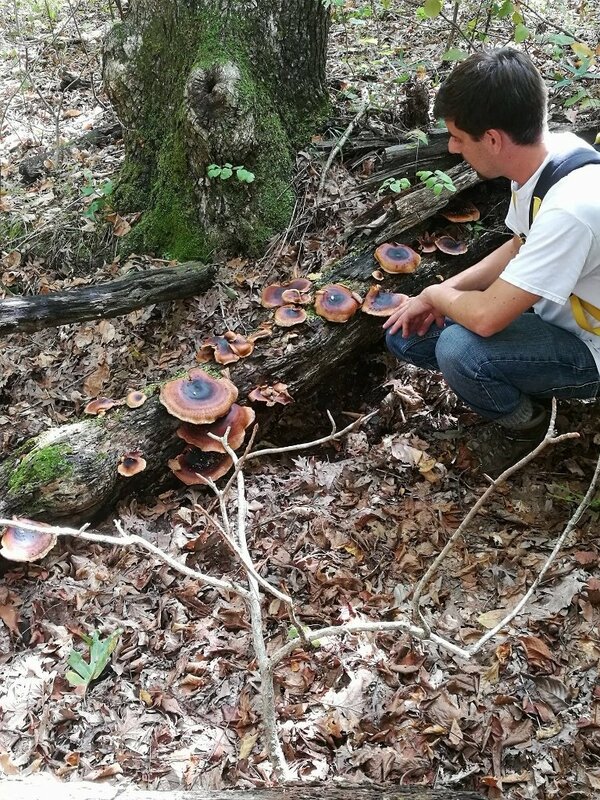 A major new study appearing in PLOS Biology on May 31 examines more than a century of fungal pathogens, finding well-aimed biosecurity measures cut the spread of unwanted fungi into a nation, even in the face of increased globalized trade. 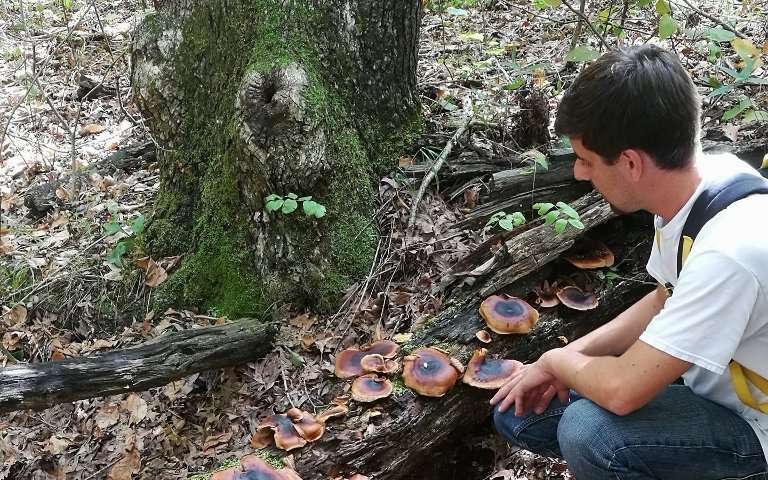 “Forestry and fruit trees continue to have many new pathogens each year, and that’s still accelerating—their patterns go right along with the acceleration in trade,” said the KU researcher. A newly developed technique can predict the risk of plant disease or infestation across the globe. Described in open-access journal Frontiers in Applied Mathematics and Statistics, the technique considers pest-host interactions and the geographical distribution of vulnerable plants to provide maps of potential disease hotspots. This could help governments to understand the risk of outbreaks before they happen. Diseases and pests can have a devastating impact on plants, the surrounding ecosystem, and food supplies. These effects can be particularly damaging when a pest or pathogen invades a new territory, in which native plants have little natural resistance and the destructive invader has few native predators or competitors. One way to get a head start in preventing infection and infestation outbreaks is to analyze where known pests and pathogens are currently located, and then look at the distribution of plants that might be vulnerable to attack. However this type of in-depth analysis can be time-consuming, given the huge array of plant, pathogen and pest species. To better help predict outbreaks, researchers in Mexico developed a new series of algorithms to help predict outbreaks. Their technique is based on the principle that closely related plants that grow near each other are prone to infection or infestation by the same pathogens or pests. 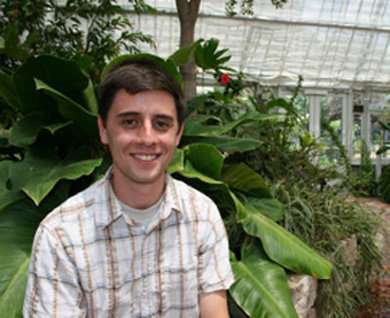 By studying the geographical distribution of closely related plants, the research team generated maps of potential disease hotspots. It’s no secret field time is expensive. Development projects that aim to improve agricultural production often have 30,000 or more farmers. It’s no surprise that when you truly target the poor, it’s often hard to reach them. You might have to arrive in an all-terrain vehicle or walk over streams. It might take an hour or more if the farmer’s field is inaccessible by motor vehicle. Maybe you have to take a donkey, as the terrain is too steep to walk easily. These are common scenarios when truly targeting the most marginalized. 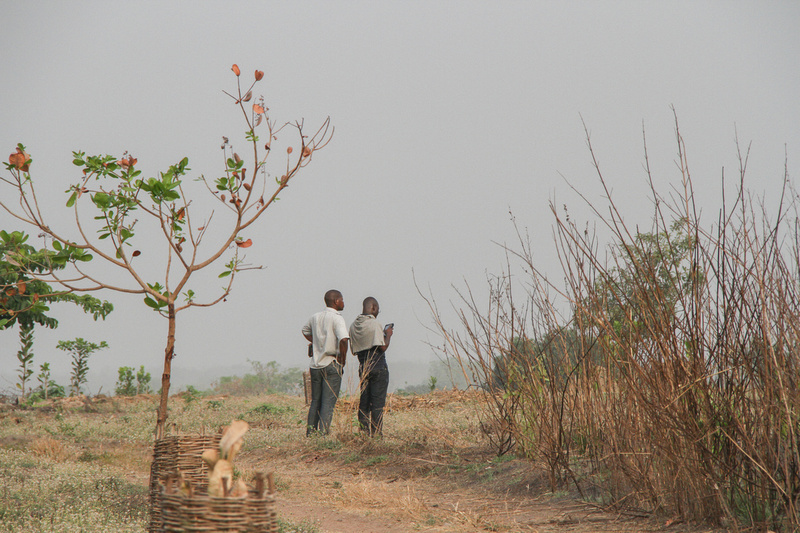 Photo: Field monitors evaluating cashew farms in Benin. Credit: CRS and NetHope staff. A single field agent can have 50 or more farmers in such hard-to-reach places. This agent trains others on various new agriculture management practices, manages demonstration plots, delivers improved varieties of plants and conducts regular monitoring among other activities. It makes sense that, to save time and money, field agents often meet with farmers in one location and conduct project activities as a group. This can also improve the adoption rate of new practices, but that is difficult to monitor without walking each famer’s field, no matter how remote or hard to reach. 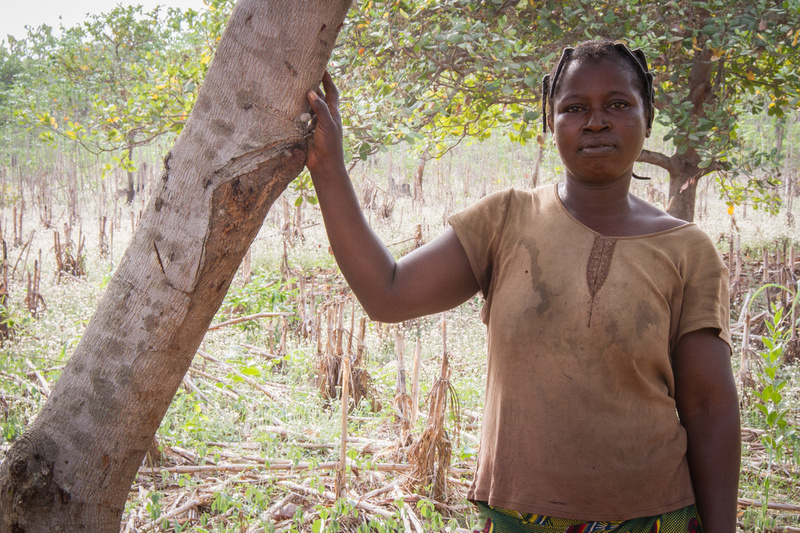 Photo: Bossou Antoinette is a cashew farmer with six children. Credit: CRS and NetHope staff. That’s what she told me about the farm she sharecrops. We count this as a success because she tried weeding, so that box is checked. This doesn’t mean that such monitoring is bad, it just means it is subject to such human error, and we can’t always go to every corner of every farm to confirm these reports. Technology can help. Many studies show that using images or pictures provides a more accurate measure of field conditions than even highly trained agriculture practitioners on the ground. Until recently, such high resolution imagery came from satellites and was out of the reach of many development programs because of cost and cloud cover. Now, however, the low cost of unmanned aerial vehicles (UAVs), which can fly below clouds, means that development programs can increasingly access high-resolution imagery. 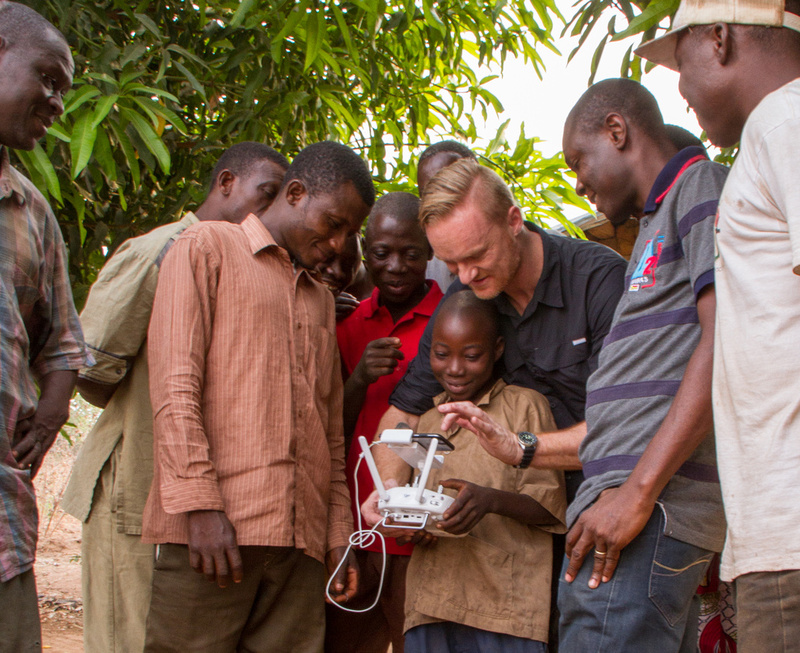 Photo: UAV operator Jacob Petersen from Danoffice IT shows CRS staff Thierry Yabi (on his left) and cashew farmers how to fly a UAV. Credit: CRS and NetHope staff. So far UAVs have been mainly used in emergencies. 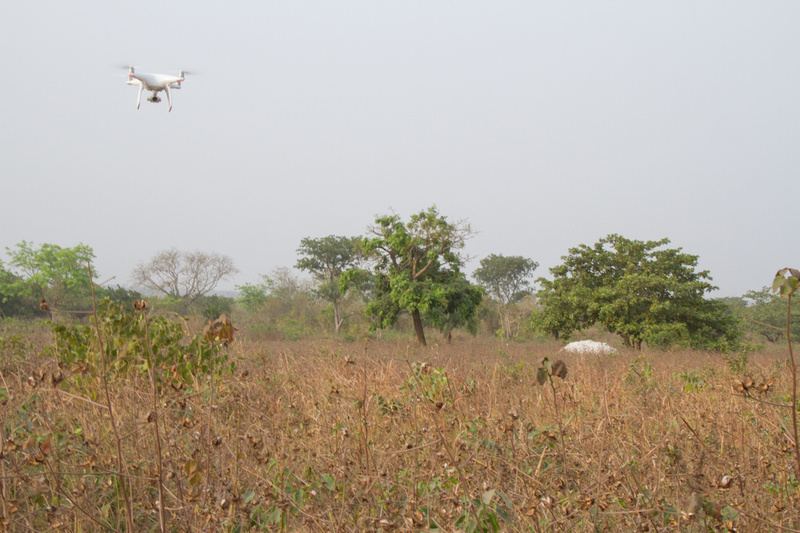 But last week CRS, in collaboration with NetHope, flew a UAV over cashew farms in central Benin. The images told us immediately that there was a need to thin out trees in some places. We could see where there is space available to plant more trees and how many could be planted, where there had been burning, and identify areas for follow-up due to invasive weeds or other problems. This is just from a first look at the image. Further analysis might tell us even more. With this information, the field agent can use his or her limited and expensive time to pinpoint areas that require an in-person visit. Photo: UAV preparing to land. Credit: CRS and NetHope staff. This imagery can even tell us where about a corner of Bassou Antoinette’s farm that has a weeding problem, one that we did not see even though we walked the boundary of her plot. 28 October 2014, Rome/Vienna – Four of the world’s most destructive agricultural pests are actually one and the same fruit fly, according to the results of a global research effort released today. The discovery should lead to the easing of certain international trade restrictions and also aid efforts to combat the ability of these harmful insects to reproduce, experts said. Keeping exotic fruit flies out is a major concern for many countries. 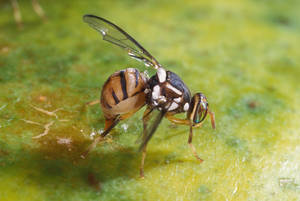 The study’s findings mean that trade restrictions linked to the Oriental fruit fly should now fall away in cases where the insect is present in both the importing and exporting country, according to Jorge Hendrichs from the Joint FAO/IAEA Division of Nuclear Techniques in Food and Agriculture in Vienna. “This outcome has major implications for global plant biosecurity, especially for developing countries in Africa and Asia,” said the study’s lead author, Mark Schutze, from the Plant Biosecurity Cooperative Research Centre (PBCRC) and the Queensland University of Technology (QUT). “For example, the Invasive –now Oriental — fruit fly has devastated African fruit production with crop losses exceeding 80 percent and has led to widespread trade restrictions with refusal of shipments of products into Asia, Europe and Japan, and significant economic and social impacts on farming communities,” Schutze added. 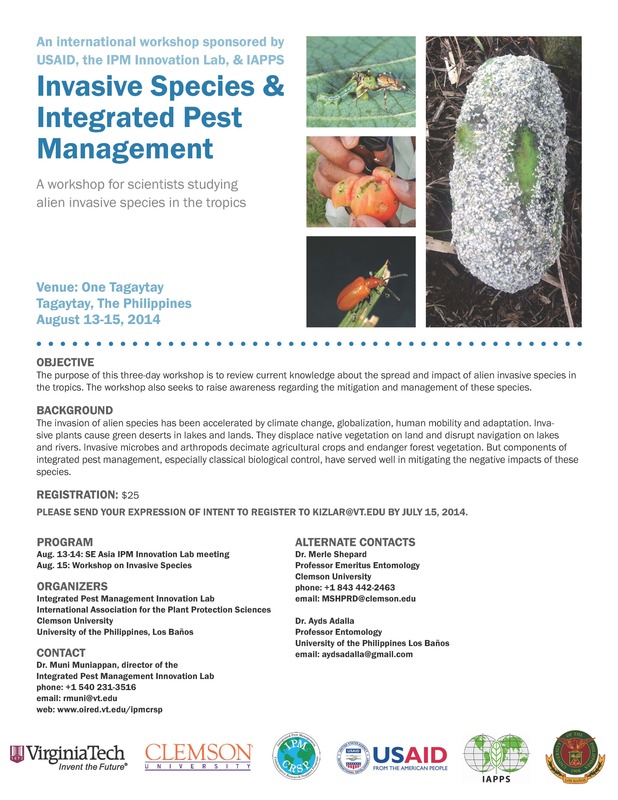 “Globally, accepting these four pests as a single species will lead to reduced barriers to international trade, improved pest management, facilitated transboundary international cooperation, more effective quarantine measures, the wider application of established post-harvest treatments, improved fundamental research and, most importantly, enhanced food security for some of the world’s poorest nations,” Schutze said. 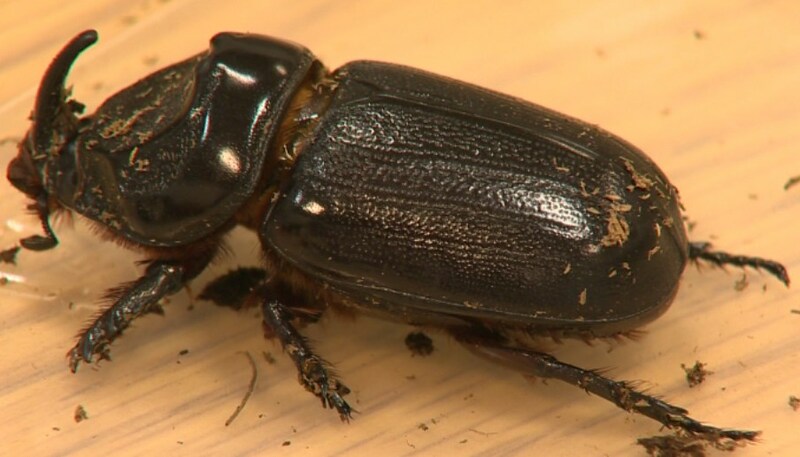 Coconut Rhinoceros Beetles (CRB) have been captured in new areas around O’ahu. The latest detection was Tuesday afternoon at Ke’ehi Lagoon Park. They’re a threat to an iconic image of Hawaii because the tiny pests have a voracious appetite for palm trees. “The adult beetle will bore into the crowns of coconut trees and if enough damage is done to the coconut tree, it can actually kill the tree,” said Darcy Oishi, Hawaii State Plant Quarantine Manager. Between April 12th and April 25th, surveyors found 26 adults beetles. All but two were at Joint Base Pearl Harbor-Hickam. One was found at Iroquois Point, the other at Ke’ehi Lagoon Park. “That number of detections since we started the program is actually an indicator that we’re doing a pretty good job on containing the problem,” Oishi said. “This is gonna be a long project, it’s gonna be a three year project once we eliminate all the breeding sights that we know of to monitor and make sure there are no beetles,” he said. State quarantine officials say it’s too early to say if the beetles are here to stay. Overview of the activity that Defra and the devolved administrations are undertaking to improve plant biosecurity.